Modern university educators are embracing the Active Learning Classroom, where students not only learn from their professor, but also discuss topics in student-led groups, practice new skills with their peers, and present discoveries to the class. Integrated technology is a critical component to the Active Learning Classroom. However, it’s not enough to simply purchase new technology equipment. Universities interested in integrating technology into the classroom need key stakeholders involved in the design process. 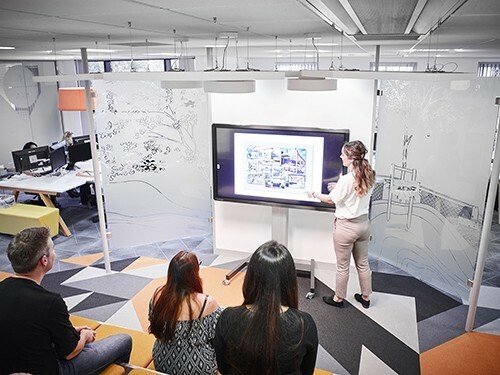 If you’re considering the transformation to Active Learning Classrooms, be sure to get input from 3 key parties: Professors, Instructional Designers, and your own IT Department. Effective higher ed design starts with the professors and teaching assistants. They have the most intimate understanding of the flow of teaching and the needs of their students. Meet with instructors, and ask: How do you envision teaching in an active learning classroom? Listening and Viewing — Can every student hear and see the instructor and the learning material? Important considerations when integrating technology in the classroom are microphone setup, as well as speaker and screen placement. Wireless technology should also allow the untethered teacher to move freely around the classroom as they interact with student discussion groups. Contributing – Can students actively participate as presenters and contributors? Do they participate from their seats or from the front of the class? Do they use their own mobile devices or the classroom equipment? Key considerations for active learning classrooms are BYOD integration, wireless connectivity, and device power charging stations. Be sure to mention these needs to your integration partner. Be sure to ask professors if they require the ability to support remote speakers or students who want to equally participate? 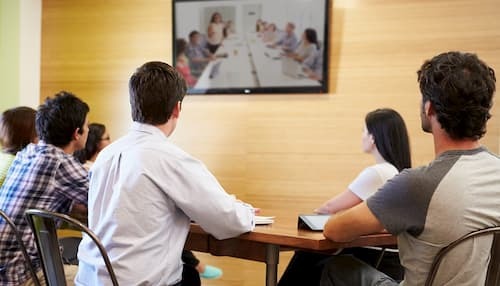 A video conferencing system can enable real-time conversations and participation. Recording – Some professors want to offer their lessons for later viewing by students that either miss class or are remote. Beyond capturing the high-quality audio and video of the lecture, teachers might want to include interactive white board materials or student discussions. If this is a priority, the recordings should be easy to start, stop, save, and distribute. 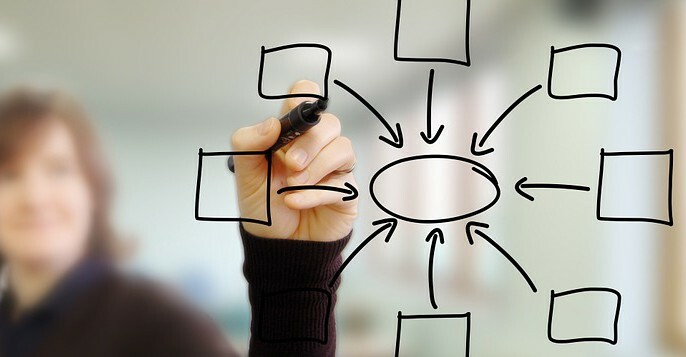 Instructional Designers work with professors to design effective courses, to manage online web portals, and enhance physical learning environments. They will have strategies on how technology can enhance the learning experience, as well as considerations on how it could distract from learning. They are an important voice in higher ed design of learning environments. Engaging – Classroom time is limited, so student engagement is extremely important for absorption and retention of information. Proper microphone and speaker setup are just the baseline. Integrating technologies such as interactive displays encourage student participation. Easy to use – Teachers want to get through their lesson plans and without spending time on training themselves or students on new technologies. Intuitive audio, visual, and interactive setups should create a seamless experience that lets instructors stay focused on teaching and interacting with students. 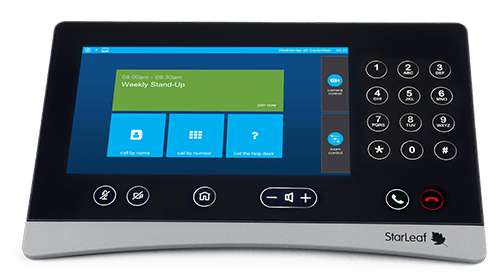 Efficient – Even with multiple technologies involved, the classroom should function as one seamless solution. Professors want to quickly switch from Power Points to videos to class polling, with little transition time. 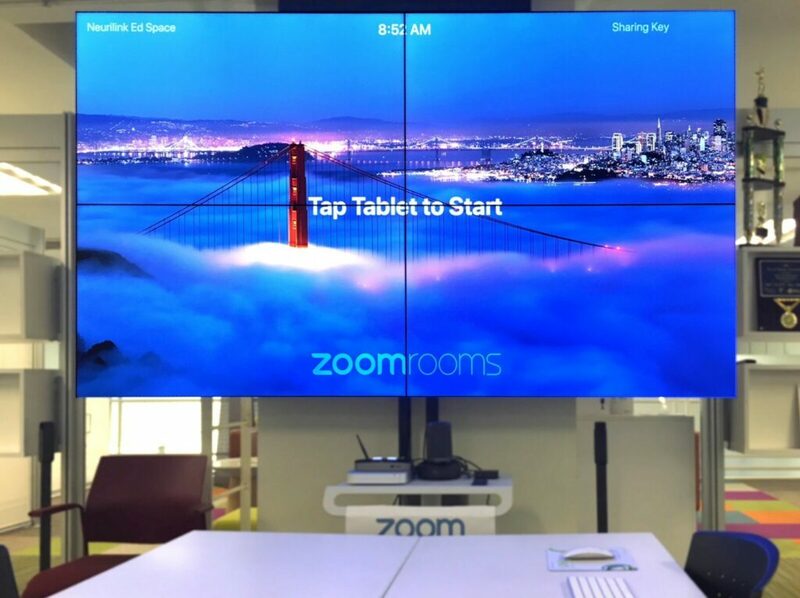 Technologies like interactive whiteboards can also bridge the post-class experience, since professors can save and email written notes to students immediately after class. While professors and instructional designers might have wishlists for their dream classroom setups, ultimately integrating technology into the classroom requires the support of the IT department. With security as a top concern, IT needs to protect the internal network from unauthorized external access. Technology-driven environments can increase traffic load, especially if the networks are outdated. IT may need to upgrade its infrastructure to handle more students and teachers accessing the network for wireless presentation functionality. These updates can be easy to overlook but will play an important part in budgeting the project. What new equipment will live on the network? Who will have access to sharing, presenting, and viewing on the network? Will instructors have moderating tools to control access? What is the expected additional traffic load on the network? Integrating technology into higher ed classrooms takes proper planning and input from key stakeholders, so it’s important to approach the process methodically. Not every classroom space is the same, and it’s easy to get caught up in how the technology environment “should” be set up. Stay focused on the end goal – an improved learning experience for students – and the right set up for your active learning classroom will come together. Copyright © 2018, Neurilink. All rights reserved.